See? We're not gone totally! In fact, I have a massive, crunchy, and highly informative blog post for you all today. This post was over a year (and more money than I'd like to admit) in the making. I do hope you all find it useful, we certainly have. Today's post is all about marketing, paid marketing in particular. This summer, we embarked on a massive marketing effort for No Good Dragon Goes Unpunished. I had the whole campaign planned out with something new and interesting happening every week or every other week. We had our target customers, channels, and funnels all setup. To complete the package, we tracked the crap out of everything we did. For the important parts of this article, we ran Facebook ads, we used Amazon Marketing Services, we commissioned art, and dropped list bait. We did a LOT is what I'm saying. We spent thousands of dollars on marketing and today I'm going to share our data with you. I cannot bold that enough. This was, at the end of the day, a grand experiment for Aaron/Bach, LLC. We put down serious cash and we hired a professional data-driven marketing firm, Proof Industries to help us put it all together. Additionally, the whole effort coincided during a time of the year (launch) when we had maximum leverage working for us. Now, I'm going to show you what we actually did, how well it's worked, and compare it to past marketing efforts to show how it stacks up. This is going to be one hell of a post. I want to plug the good folks over at Proof Industries. We threw an entire multi-channel marketing campaign at them in May and they made it happen starting in June. I could not have set up all the tracking infrastructure and hundreds of Facebook ads myself. They also helped us monitor the whole shebang as it happened and ran the post-mortem. Big thanks to Zach, Josh, and Ansley for helping us pull it all off! Haha, it might be shorter to say what we didn't try this summer! The list of efforts is pretty monumental! Pre-Orders - We put No Good Dragon Deserves Another up for pre-orders in late May, roughly 70 days out from the launch date. Why'd we do it for 70 days? 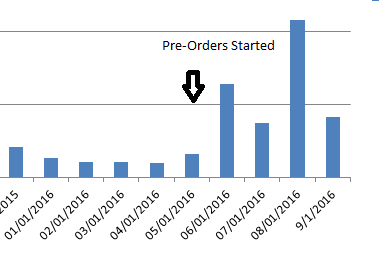 Because our last pre-order was 60-days and I wanted to see if a longer pre-order window would sell even more books. One Good Dragon Back Matter - We promoted No Good Dragon (book 3) with updated One Good Dragon (book 2) back matter. It basically had sample chapters and said, "you can pre-order now!" Mailing List Announcements - We announced pre-orders, launch, and the audio book format launch via the mailing list. Reviewers - We emailed advanced copies to roughly 20 independent bloggers for review. New Posters - We created and launched five new posters, one with commissioned art from Gergana. Mother of the Year - I've already talked about this one here. TL;DR it's an interview with Bethesda that you can only get if you sign up for the New Release Mailing List. We announced it and then, a few weeks later, we launched it. Teaser Art - While the poster was a past commission that we finally turned into a poster, we also commissioned a new piece of teaser art that was set in book 3. This had a big announcement and will also, one day, become a poster most likely. Sample Chapters - They were going to come out anyway, but we definitely made a big noise about the sample chapters the moment they were available. 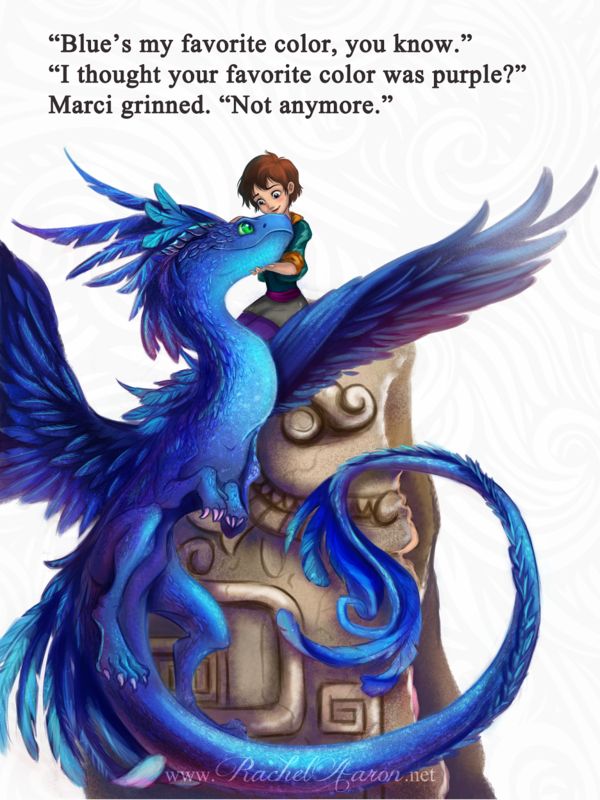 Big Summer Sale - we lucked out and Amazon put Nice Dragons and One Good Dragon both into their big summer sale for August at $1.99 each. This was not something we controlled, but I'm putting it here anyway because, if we didn't get the Amazon deal, then we were planning for something akin to the NDFL Mega-Fall Promotion that I did in 2014. Paid Ads - Lastly, we had a lengthy schedule of paid ads via Facebook and Amazon Marketing Services. There were hundreds of ads, so I'm going to talk about the aggregate rather than individual ads. Basically we did ads for everything you see above. Whenever we did something, like announcing sample chapters or teaser art, we also pushed out boosted posts. The AMS ads were all targeted at people who were past customers since this was a book 3 release. Social Media - It hopefully goes without saying that everything going on was echoed on Facebook, Twitter, Google+, and the blog. Both fantastic and not so great. Overall, the launch numbers themselves were most excellent. Since each launch is smaller than the last, this might look like a failure, but remember that every book in a series sells fewer than the one before it. So there was, in a way, a sort of limit on how well we could do. Given that book 3's launch was 89% the size of book 2's launch - I feel that we got as close to that limit as possible, which is a success IMO. But did the marketing do that? Or was it going to happen anyway so long as the book was good? I ask this insideous question because the not so great part is the actual numbers for many of the new advertising methods we tried. Here's the list again, with how everything did. 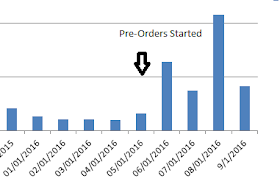 Behold how amazing pre-orders are! You'd better believe that we will be running pre-orders for basically everything forever after. It's worked well twice in a row so, IMO, this is now standard operating procedure. Back Matter - This is a tough one. We did something similar in the past with NDFL and it worked awesomely. Problem is, this time, I couldn't measure the impact. I'm going to have to lean on past performance here and say that this was a contributor to sales. The real tell here is that I'd never consider not putting pre-order links in the back of book. The back of the book is one of the best marketing tools an author has. 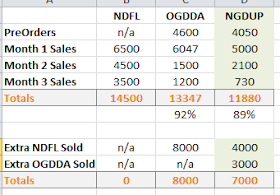 For example: Some 30,000 or so people have gotten to the last page of NDFL. In terms of marketing value, I'd rate a person who read to the end of a book as having 10 times the marketing quality of a mere click or even a detailed page view. To put that in perspective, it would probably cost $150,000 to $300,000 to reach an equivalent number (30k) of such highly qualified customers using less efficient advertising methods. WOW. Don't let your back matter go to waste folks! Mailing List Announcement - Invaluable. Each time the list was contacted, there was a very visible spike in sales over the next 12 hours. It sold hundreds and hundreds of books this summer alone. More on the effects in my MOTY post. Reviewers - This is where I need to shout out a BIG thanks to Fantasy Book Critic. He put up an amazing review up on the No Good Dragon Goes Unpunished page on day 0. It's hard to emphasize how helpful it is for us when that initial launch rush goes to check out the book and they see a long, glowing review from a trusted reviewer front and center. We love the blog and YouTube reviews. They reach audiences we cannot and that makes each and every sale, click, or impression more valuable. Additionally, and this is not to be underestimated, they also help provide that precious continued legitimacy that all authors must get and keep. Particularly indies. New Posters - These didn't do anything. Like, nothing. The announcement posts we made had low views, likes, and reach. The website traffic never budged when they went up and sales of posters have been "meh" to the extreme. Fortunately, the store front breaks even on its very modest fees each month. I like having posters that Rachel can sign and send to people as gifts. Also I dig the posters a lot. So, as long as they aren't losing money, they'll probably stick around because of these reasons. We're not doing any new custom posters though. The costs just aren't justified. It'll just be cover posters as we have new covers. So yeah. Posters do not affect our sales, drive traffic, get attention, or make significant money on their own. As a marketing tool, these things are totally worthless IMO. Your mileage may vary, but I have the feeling that readers just don't care about or want these things. Mother of the Year - The post on this is here. The long story short is that MOTY was a wild success. We gained hundreds and hundreds of new sign ups for the precious new release mailing list and that effect has continued on even months later. I still have every reason to believe that we've achieved a permanent (or at least long term) boost in the rate of newsletter signups. This is the #1 best new trick we've tried this year marketing wise. List bait fiction is now going to be part of our standard tool set going forward. We'll probably make one per series to keep things fresh. "Want a copy for yourself? Sign up for our mailing list!" Teaser Art - I love commissioned art. 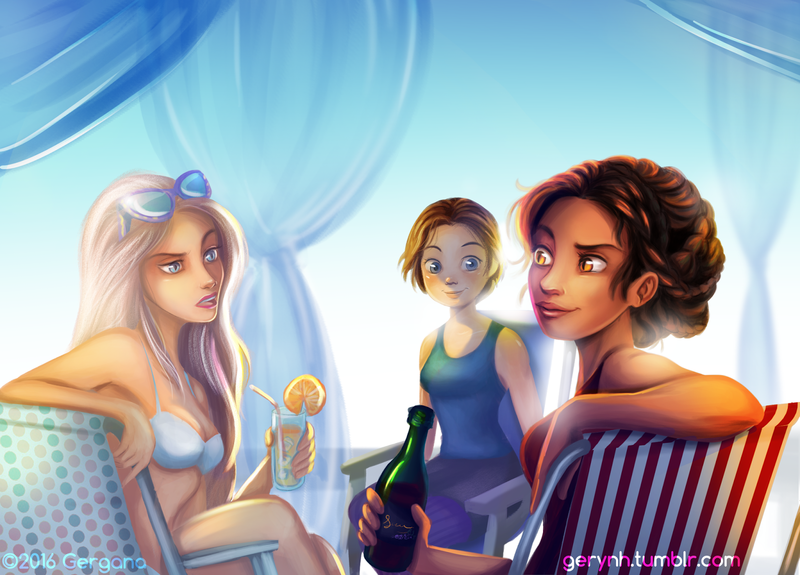 It's so thrilling and fun to see art of Rachel's stories. As a marketing tool though, art is a mixed bag. On one hand, art works excellently on Facebook, Tumblr, and other social media. It will amplify how many shares and likes the related posts get for certain. Unfortunately, it's not enough (for us) to justify the cost of the art. A bigger author might have more luck with this kind of thing, but I have my doubts. Say, for argument, that having a nice piece of original art will boost a given post's views, shares, likes, and engagements by 5x. That sounds great right? Well, if it's going from 1000 views to 5,000 views, guess what? It's still a massively negative ROI. I'll talk more about the gruesome inefficiencies of social media further down. Anyway, the art announcement and such did not generate any measurable impact on sales and our tracking backs that up. ~__~ I'm sad, cause I wanted to do more art. We had really great art too! So, as a marketing strategy, custom art is now more of a vanity thing for us and I'll treat it as such. This is, BTW, totally different from cover art. Keep that in mind please. Cover art is arguably one of the most important pieces of post-production we do on a book. Title, Cover, Blurb folks! Sample Chapters - would you believe that these had almost no visible impact on sales? Like, we announced them and put them in the back of One Good Dragon and... nothing happened. No big sales bump and no traffic increases. No conversion rate increase on website sales either. Weird. Our theory is that this might have been because this was book 3 in the series. No one needed sample chapters to make up their minds on buying. Also, we'd done a lot of promotion prior to the sample chapters reveal, so maybe we'd just tapped out our marketing reach and there was no one left on the fence for the chapters to sway. So, while sample chapters are a crucial piece of that total package for the book, we've never going to pay for or go to great effort to promote their reveal again. At least not on anything other than book 1 of a series. That'll be an item with lots of reader curiosity where sample chapters can be a more powerful marketing tool. Putting Things On Sale - the first two books of the series going on sale worked fantastically. Not only did both books, already riding on a high sales rank, ride higher, but sales for the third book were basically red-lined. It's hard to tell which benefited from which more, but we sold an amazing number of both. This was our most successful discount price sale ever. It's impact has been seen on sales for Sept and Oct as well, which shows that the surge of readers picked up this summer are still filtering through. Will absolutely try to do this again. This sale-on-launch tactic seems to enjoy strong synergies. Both paid ads and social media were absolutely terrible at selling books. Price per 1000 Impressions - This is the most basic measure. I typically gather how much it costs to reach 1000 eyeballs as it's a great method for evaluating different ad channels against each other. For example, when a magazine offers "500,000 readers for $5000 ad spread" I see "$10 per 1k Impressions" which is horrible-bad and hell no. But when I see "1 million for $500" I'm all over it. Price per Click - what does it cost to get someone to really look at the book? This is more valuable than impressions because you stand a better chance at getting a sale and you get to engage the customer. It's also the method most platforms charge by, so it's another primary comparison and evaluation metric. Price Per Engagement - Ignore this one. It came with the metrics, but I don't use it. Price per Sale - amount of marketing $$ spent per actual sale. Now, most of these figures are close estimates. Despite setting up a lot of tracking, there's still a margin of error present. Sigh. Anyway, this is the gold in that it's actual sales which have a tangible value. Clicks and impressions are much harder to put a value on. these ads and efforts to some more industrial baselines. Here's what I've run in the past using Google Adwords, AMS, and other services. So yeah, it's pretty easy to see that even broadly targeted AMS ads were better than any Facebook ad we ran. Also, as usual, Bookbub and email blast services are divinely powerful. By far the best paid marketing option out there for authors. By these comparisons, most all of our ads this summer were wildly inefficient. $35 per sale?! $15 per 1k Impressions?! Woof! Who can afford that? Not us as we only make about $8 to $9 per sale (aggregate). It's just too much. There's no leverage here we can use to sell a meaningful number of books so there's no point in spending additional money on any of these avenues I feel. At least for now. This makes me sad since I felt that the launch excitement, plus new content like art, would have translated into a very good result on the other ads. 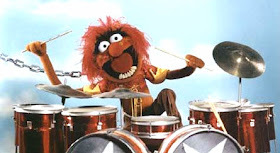 Ultimately, I think we just preached to the choir and failed to achieve any sort of marketing momentum. These failed experiments in advertising are, btw, entirely my doing. The professionals and artists we paired with for art and technical help all did their jobs expertly and excellently. I'd recommend any of the people I've linked above. In the end, Aaron/Bach, LLC isn't positioned correctly to make this stuff work and that's the bare truth of it. These lessons learned are what we really paid for this summer. It would have been nice if more (any) of our big-ticket marketing items had sold some books, but really we were trying for an iron-clad test of our methods. Lesson #1 - Infrastructure makes all the difference. When you hear about people who make a positive ROI on their Facebook Ads, it's almost always from people who have a lot of books out. Like those Romance ladies who are marketing their 22-book series where every book is a different entry point. Or the Self-Publishing Podcast guys over at Sterling and Stone. Not only do they have a ton of books, but they have an amazing publishing schedule, related media productions, and one hell of a newsletter system. Seriously, listen to their podcast. So this stuff can work but it takes a robust line of products and supporting online content, not just the three HS books. But give us a few years, a lot more titles, a few new platforms, and it'll be a whole different world around here. 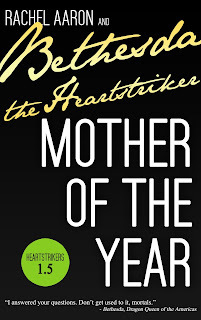 In the future, we're going to only do paid ads for things like MOTY and book releases, i.e. new fiction that fans can consume. Beyond that though, we're not gonna spend money on anything else. As Rachel mentioned previously, we're turning down from last year's full force social media and blogging efforts. In the end, they cost a lot and paid out practically nothing. Starkly so. Conversion rates on social media are god-awful. It's to the point where I seriously question if people who claim to drive sales with their social accounts actually are doing so of if they just have poor tracking and only think that they are. In our experience though, social media requires you to be rolling with tens of thousands of followers to be effective in any way. Your posts need to reach tens of thousands of eyes, or more, in order to sell anything. An example conversion rate would be 1 sale per 30,000 eyeballs. It's beastly. Also, you can't grow by 1 follower a day and expect to get there. You need to grow by 20 to 100 per day to stand a chance at arriving in less than a lifetime. That said, social media growth tends to be non-linear, so the more your have the easier it is to get more. So, if you aren't willing or able to get into those ranges then social media probably isn't the best marketing platform. It takes a lot more know-how and strategy than Rachel and I are willing to invest, that's for certain. We'd rather be writing books. Which is the most effective strategy still. That's not to say we're leaving Twitter or something. Just that we're not going to be spending time slicing blog posts into tweets and advertising them. We're just going to tweet as we like to. It'll be less forced all around honestly which is best for all. Lesson #4 - What about this blog? Pretentious Title started as a place for Rachel to talk online about writing when she had something she was excited to talk about. It's also served as a place to post important updates and news concerning her author career. I joined during this last year because I wanted to help her out and because I love blogging. However, the blogging strategy has been our biggest marketing mistake. I estimate that it's cost us nearly $30,000 in effort just this year alone. @_@ We like to help, but that's too much. That might sound kinda weird. After all this is a widely read and successful writing blog. I love the posts we've written and the responses we've gotten from you all. I'm very happy about the authors we've helped over the years and this last year in particular. The problem is simply that non-fiction isn't our business. Right now, we have a terrible business model as concerns the blog. "Write non-fiction and use it to sell fiction" sooooo doesn't work. It doesn't take a guru to see why either. We can't be on this blog, burning $30,000 a year, building a non-fiction platform and then not have a non-fiction product. Why'd we do it? I mean, we certainly knew beforehand that we cannot sell fiction with non-fiction content. Well, it was fun, but we also had a plan. Back when we decided to sink professional amounts of time and effort into the blog we aimed to launch annual non-fiction writing and writing business books along side the online content. That was the strategy and it's still a good plan to this day. Many successful non-fiction authors blog their way through their books. It's super effective. Our problem is that we cannot write another non-fiction book. Rachel and I have started three of those suckers since 2k to 10k came out and we've never made it through a single one. 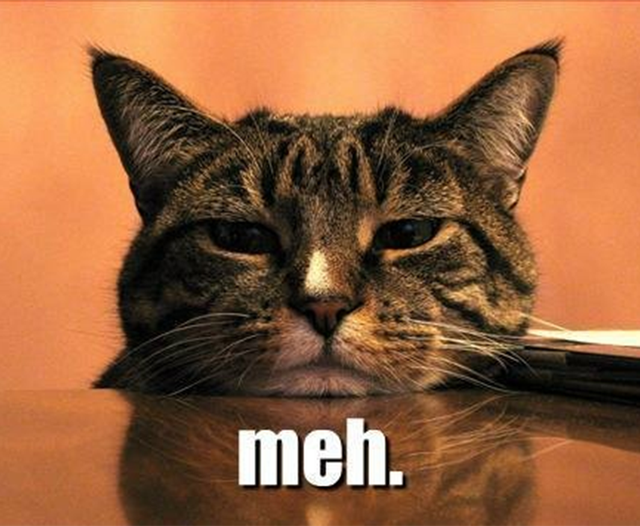 We've always given up about a month in, hating the project utterly. It's tragic and it's costly as hell, but we have to admit defeat. This place is just not going to become a serious non-fiction book imprint. 2k to 10k was a lovely spot of genius generated by a once in a lifetime writing epiphany, but it's just not going to get any siblings. The time has come for us to stop throwing good money away. This is why the blog is going back to it's roots. Fun stuff when Rachel (or I) have something we're burning to talk about. No more pushing ourselves. More importantly though, giving that time back to our core business, fiction. This applies to me too. I like blogging a lot more than Rachel does but I've got a book of my own to work on. It's done. I finished the first draft last spring. Editing on the other hand has been a long process. The story, plot, and characters are fine, but my prose and grammar are horrid. Fortunately, Rachel is my editor (I love you honey!) so I'm getting better with every new round of edits. I love blogging, but in the long run, I'd much rather be an author than a blogger. Stop me if you've heard this one before but I have so many books I want to write. Knowing that social media, the blog, and paid advertising don't work (for us) is an expensive lesson to learn. It's also a huge relief. We're finally free of feeling like we have to do these things. Free from worrying about what we might be missing by not doing them. The future for us is drastically scaled back marketing efforts and a focus on books and fiction. We'll be very selective about advertising. We'll be running email blasted $1.99 and $0.99 sales as often as possible. We'll be doing paid ads for sale events and for new content announcements (new book, new list bait, any other purely original content Rachel makes). The marketing experiments aren't over though! Oh no. Right in the middle of this big summer marketing campaign, I stumbled on to this tech crunch article. It's incredible and it's opened my eyes to a world of marketing concepts I'd never heard before. As soon as you are done here, GO READ IT. Also, read like every link in that article. Particularly the one concerning earned vs owned media. Rarely will you find such a treasure trove of solid marketing advice. Anyway, it's too early to even whisper about what new marketing hijinks shall ensue, but rest assured we will talk about them here when we're ready. I'm not great at this stuff, but I'd just like to say thanks for all the information the past year. I tried blogging myself a few times and found it absollutely draining. I completely understand why you would want to focus on your fiction. Still, I think you should that you have helped other writers-even the quiet ones like me who never said anything- so thanks. Very interesting post! I hope you keep blogging occasionally as I love your business posts. My hubs' experience with social media marketing was exactly the same as yours. He's not an author, but he has an iPhone app that he developed a couple of years ago. Initially, he tried all kinds of marketing with Facebook, Google, etc. but didn't really have any way of measuring the impact so he decided to run an experiment in which he dropped all marketing to see what would happen to sales. Well, low and behold, sales did drop, but by an insignificant amount, and we found that our net profits actually went up once we stopped spending any advertising dollars. I'm sure there is some way to get an impact from all of the social media, but if you are a small player, it just isn't worth it. I can't do non-fiction blogging, either. I do fun posts like my 2016 TBR Shaming post (Rachel's books are on it! THE SHAME). And I'm getting blog followers consistently. I now have more blog followers than mailing list or social media followers. So blogging silly crap is good, I guess? Thanks for taking the time to show all Th numbers! They pretty much confirmed my intuition and what I've seen fellow writers say. Social media is for chatter, political fighting and cat pictures. Not much else. Thank you, Rachel, for taking the time to help writers with such excellent statistics. By the way, I bought the Audible of "Nice Dragons Finish Last" on August 29, 2015. Was it the Audible Daily Deal? I didn't listen to it until March of 2016. 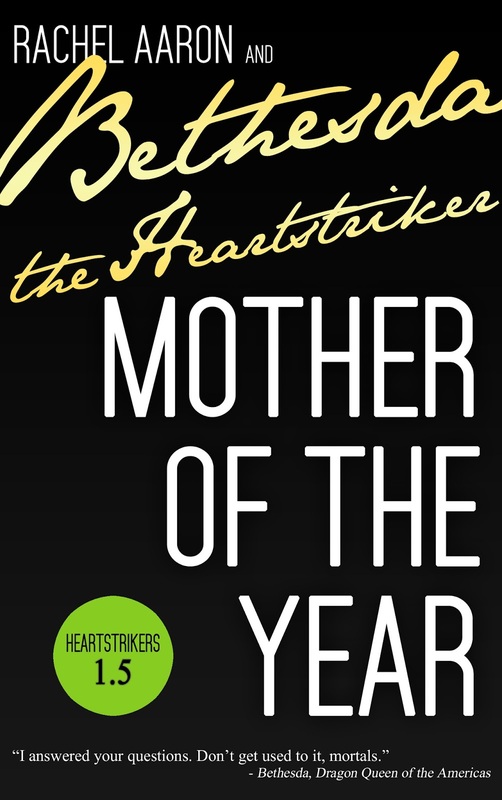 Since then, I've purchased 16 copies of the Heartstriker books for myself or as gifts. I really get that blogging, especially the deep, work-intensive posts, can be soul and money sucking, and, I am sad to hear there aren't any follow-ups to 2k in the works, but I get it, for sure. Really, really appreciate what you both have done, and will be excited to have fun stuff from you guys: more fun, less work is good! On various strategies, I'm thinking about using images on my list, to supplement (not replace) my list-magnet story, little list-only rewards. I make them, so they don't cost me anything but time, and selling them never occurred to me, but I plan to track engagement. It's something to consider, if you already have the art. I'll be coming back and combing through this post in detail, holy cow, it's amazing! Thank you!! This was an eye opener for me (who decided long ago to forgo blogging). The links are invaluable. Thanks! Wow, thank you so much for sharing such helpful and transparent real data! Also, super exciting that Travis has written a book, too! Best of luck to you both. Hey, thanks so much for your generosity in continuing to share details like this with the rest of us! :-) We super appreciate it!!! Please do consider making that available... you wouldn't have to change anything you're doing now, but just having a print version available would open up an avenue for people who love your advice to get it in a hard copy, and show you their appreciation at the same time!!! You aren't alone in asking for a 2k to 10k print edition. The reason we haven't published one is due to pricing. The ebook is $0.99, but there is no way we can offer a print ed for less than $5 to $6. Rachel and I are both very uncomfortable at the idea of having such an enormous price gap between versions. Particularly when one is in the $0.99 range. Travis! I just wanted to thank you publicly for this write-up and your kind words about working with Proof Industries. This project was a real pleasure, and I wish the numbers had been different so we could have done more to continue promoting your fiction. Even if the campaigns were fun, we (like you) have to live by the data and (as you know) we shared your conclusion that in this case, it didn't make sense to continue your investment in ads. It's interesting to me that the Mother of the Year list building content offer did so very well, because that's a lot more like what we do in our main Inbound Marketing campaigns for our other clients. Offering high quality content in exchange for contact information and the beginning of an ongoing relationship continues to be a great way to promote yourself (especially when the content is as fun as what you all are producing)! I'm very happy that you saw positive results from that, even though we weren't involved with that aspect of your campaign. Everyone at Proof Industries loved this project, and whether or not we get to work together again, we will certainly remain fans. Thanks Zach. We had a good time to. It was great to finally dig in an acid test all these theories and channels. In hindsight, MOTY was what you'd been telling us to do the whole time. We should have centered around that more TBH. I just wish that the fiction content wasn't so darned expensive to make. Thank you so much for this post! Great information, presented clearly, and great commentary. I'm surprised that Social Media ads did that little, especially with all we've been hearing about Facebook these days. Have you tried/considered doing book tours? I'm always curious about those. PPC Advertising Agency Nice Blog post.Helpful information. Huh? Yeah, that was my reaction when I was told you can get paid good money to use Facebook. But I checked it out and I loved what I found.